This time next month it will be Christmas Day! How exciting! Since I don't really have anyone to buy beauty gifts for I thought I'd hold this giveaway. It's also a way to thank my readers as I'm so grateful for each and every comment, follow and page view I receive. All of these products are brand new and paid for with my own money. I tried to choose products that I either love myself or that I think will be good for the winter months. I have posted links where I have featured the product on my blog. This is a UK giveaway only and the winner will be picked randomly using Rafflecopter. The giveaway closes on Thursday 13th December 2012 at 7pm. 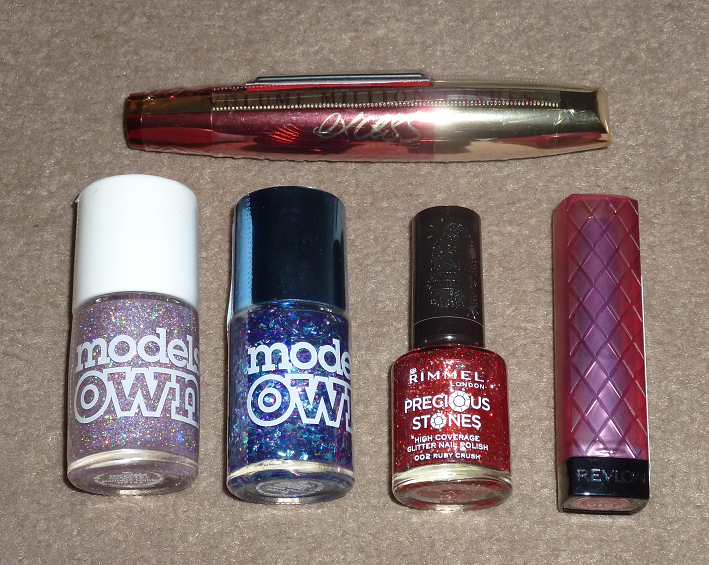 Fab giveaway :) Loving the look of the Models Own polishes in particular, fingers crossed! Great giveaway! I love review posts, love learning about new products! Hey lovely! Thanks for sending me your link on twitter :) I'm now following. At the minute I'm absolutely loving FOTD posts. I'm a little addicted to eyeshadows, so I love seeng what people do with them to then create my own look. I also love reviews and hauls as well. On top of it I love NOTDs too. i generally love what you do on your blog at the minute :). I love OOTD's, I'm always looking for new wardrobe inspiration! the revlon lip balm is amazing girls!! My fav posts are FOTDs and makeup reviews as I am a makeup artist. Lovely giveaway hun, I've had my eye on that Model's Own Winter Wonderland Polish for ages now!